Records the papers and commentaries, with an edited discussion, presented at an international consultation convened by the Council for International Organizations of Medical Sciences (CIOMS) to guide revision of the CIOMS International Ethical Guidelines for Biomedical Research Involving Human Subjects. 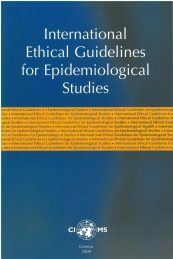 The Guidelines, first issued in 1982 and then revised in 1993, are being updated and expanded to address a number of new and especially challenging ethical issues. Records the papers and commentaries, with an edited discussion, presented at an international consultation convened by the Council for International Organizations of Medical Sciences (CIOMS) to guide revision of the CIOMS International Ethical Guidelines for Biomedical Research Involving Human Subjects. The Guidelines, first issued in 1982 and then revised in 1993, are being updated and expanded to address a number of new and especially challenging ethical issues. These include issues raised by international collaborative trials of drugs in developing countries, especially expensive drugs, and the use of placebo controls in randomized clinical trials. Others arise from the complexity of research in human genetics, including stem-cell research, and in reproductive biology. Throughout, particular attention is given to the difficult questions that arose during the heated debate over trials in developing countries, of short-duration zidovudine (AZT) therapy to reduce perinatal transmission of HIV. 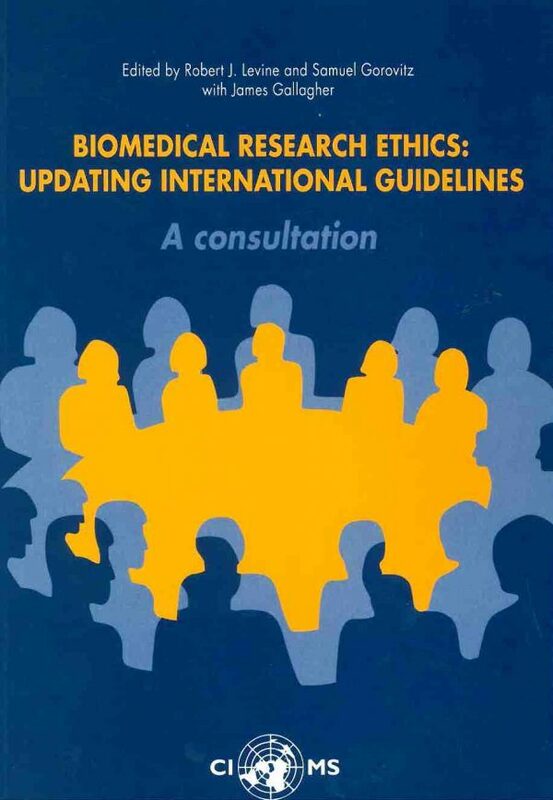 The International Ethical Guidelines for Biomedical Research Involving Human Subjects set out a code of research ethics that is widely used by ethical review committees and other bodies responsible for reviewing and overseeing the ethical design of studies and conduct of research. 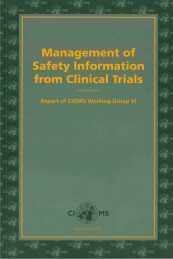 The revision of the Guidelines is being coordinated by CIOMS, in collaboration with WHO. The consultation centered on seven specially commissioned papers, authored by international experts that explore some of the more difficult issues in depth. Each is followed by an invited commentary, often expressing opposing views, and a summary of the issues or conclusions that emerged during the subsequent debate. The first paper, on justice in international research, deals with the question of whether proposals for research to be conducted in a developing country should make provision for future access of the population involved to the interventions under investigation. Also considered are questions that arise when research uses populations in developing countries to investigate interventions that will be of exclusive benefit to the industrialized world. 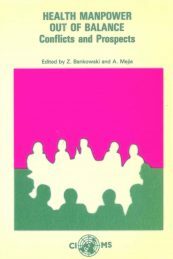 Case studies of recent drug trials and their research protocols are discussed to illustrate circumstances in which use of populations in developing countries is justified or constitutes exploitation. Ethical challenges of the randomized controlled trial are considered in the second paper, which includes a discussion on the equitable distribution of benefits and risks, the use of placebo for controls, and the obligation to ensure that the participation of controls does not compromise their medical care or endanger their health. A paper on informed consent in international health research considers how cultural factors influence communication and language in the informed-consent process and respect for privacy and confidentiality in the research. 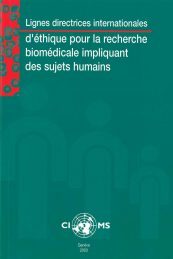 Subsequent papers address issues in genetics research and reproductive biology, including the moral status of fetuses and the use of embryos in research, and examine the contribution which international human rights instruments can make in the application of the general principles of ethics to research involving human subjects. The final paper gives an overview of capacity building and the role of communities in international biomedical research.